Rugged protection for your tent! The Campo 3P floor protector ensures reliable protection from moisture, dirt, thorns and sharp stones. It’s shaped to fit the profile of the Campo 3P outer tent keeping both vestibules well-protected from the rain so they’re always clean and comfortable to use. 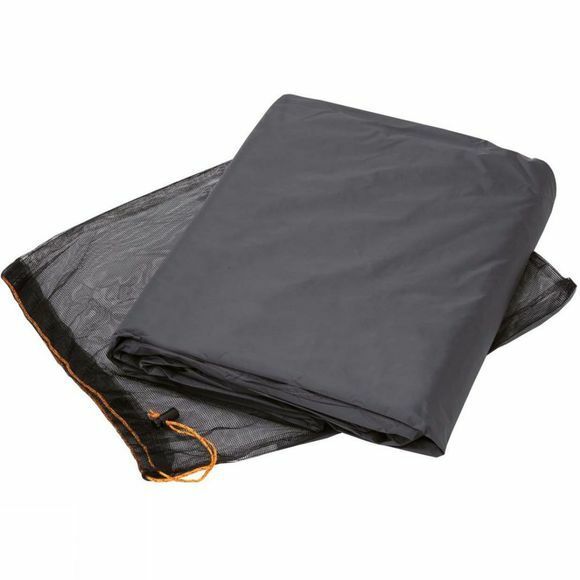 The footprint is made of resistant and durable 75D polyester with a PU coating. A water column of 5,000 mm ensures dry conditions in the tent and dry gear, even in a downpour.